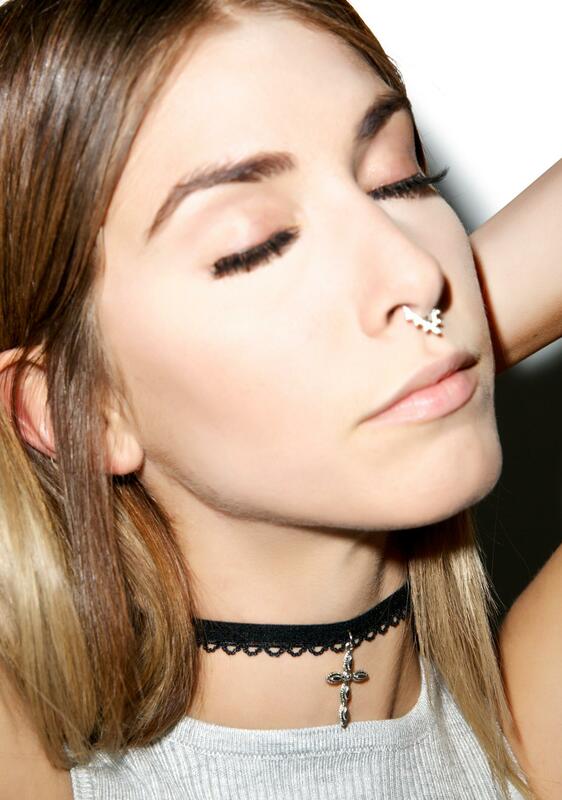 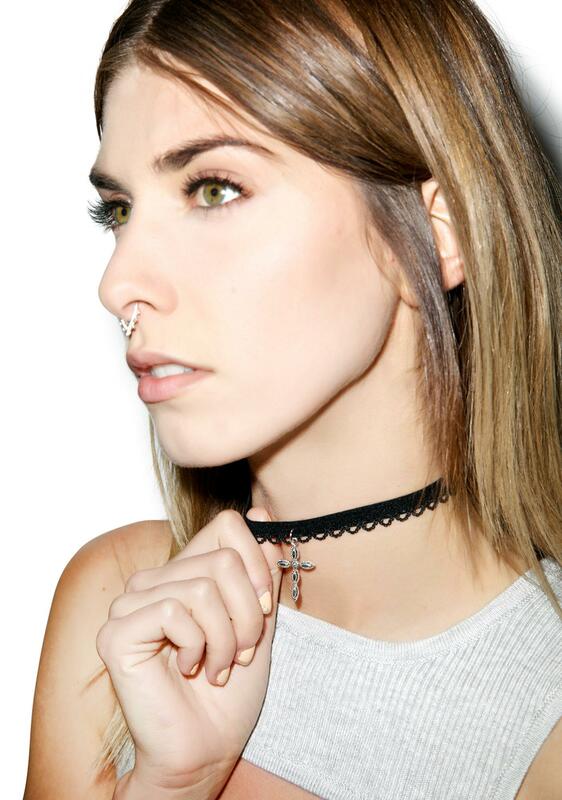 Vanessa Mooney The Coven Choker cuz yew need an xxxtra prayer fer yer sinful ways, BB. 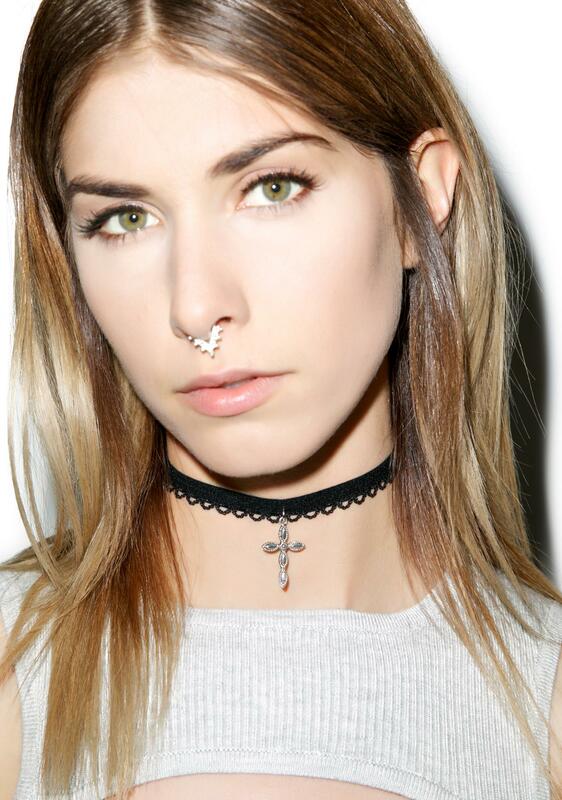 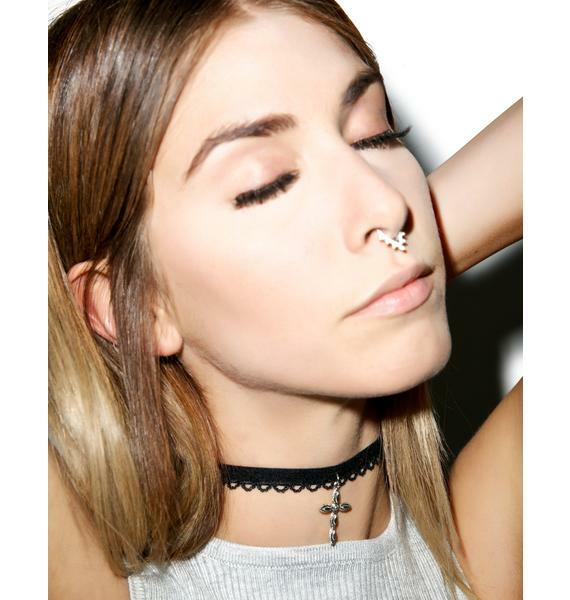 This sikk, handmade choker was made in the City of Angels out of the best materials on earth. 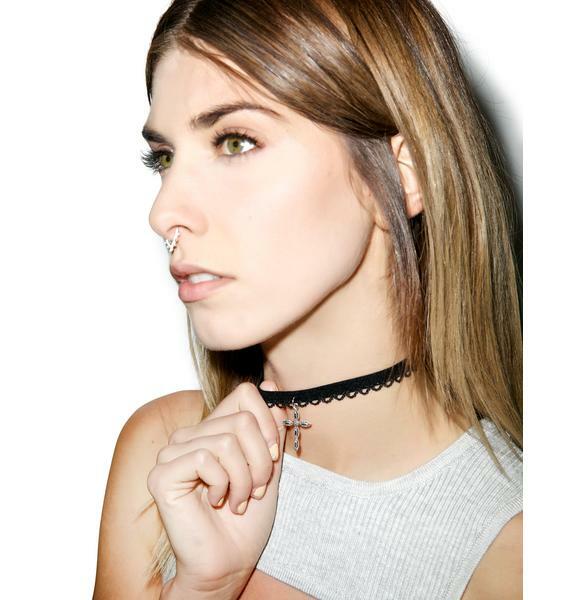 Featurin a beautiful silver cross with fine intricate details, this 1 height pendant hangs on a fabric, crochet lace choker. 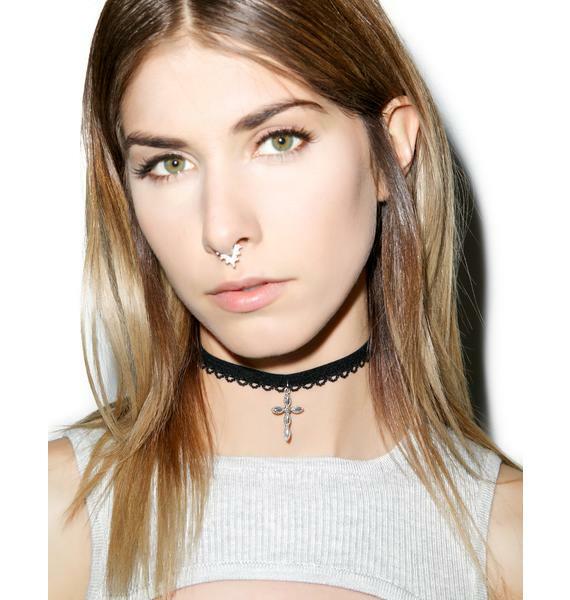 Approximately 13 in length with its chain back, this adjustable necklace is complete with a lobster clasp, so even if yew go down the dark side this BB will have yer back.